The Hoover Breeze Evo Pets upright vacuum cleaner is a vacuum which is extremely easy to use and has an impressive A+ Energy Rating. 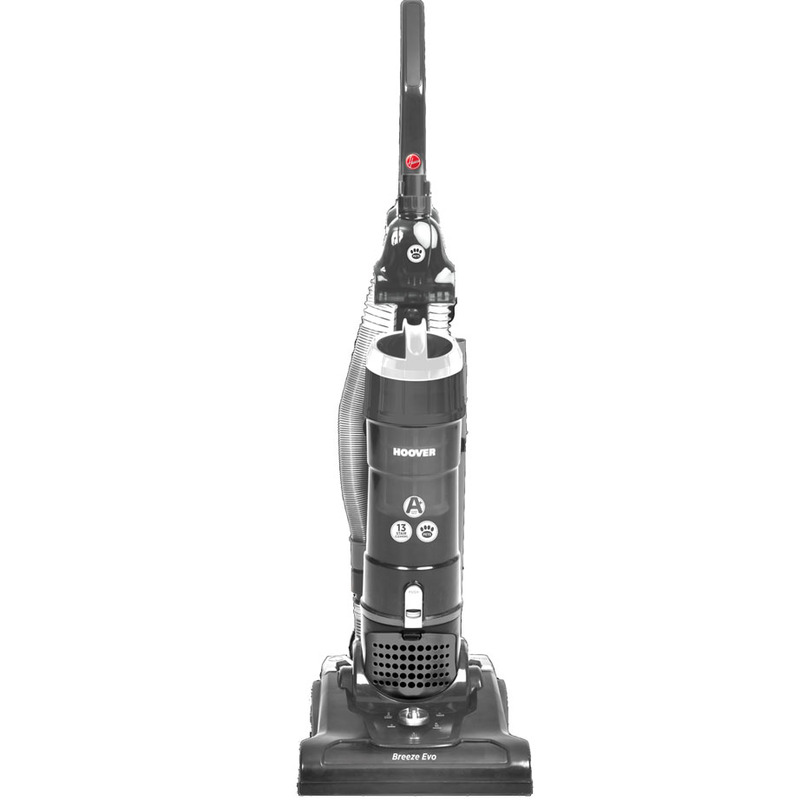 It features a large 3 litre capacity which means less time emptying and more time vacuuming. This vacuum cleaner is ideal for pet owners as it includes a mini turbo brush which will help loosen those stubborn pet hairs from your carpets or upholstery. When it comes to cleaning the stairs you won’t need to worry about having to drag it up at all, thanks to the 4.5m stretch hose you will be able to clean the whole stairs without moving the vacuum from the bottom, it is able to stretch to clean a full 13 step staircase. The 7M cord allows you to manoeuvre around the house without needing to unplug from socket to socket. With the 2-in-1 dusting brush and upholstery tool you can be assured that every part of your house will be thoroughly cleaned from top to bottom.